How do you send a private PM to another member? I looked at their profile and can't see the option? It's called a conversation - look for something that says "Start a Conversation" - let me know if you can't find it and I can help further. with the box on the top right, how about putting the forums consitution banner? please delete any from or about me... I got pulled over and givien a ticket for my alp system. thx bigmike.. The Cop said he saw my car and posts on this site. We are interested in your Preferred Vendor status. What do you need from us? Was wondering if you could help me out. On vBulletin, iTtader needs an http address for a feedback url and my site is SSL https. Could you tell me how to change the coding so it accepts https? In fact I have made a link to RDF in the app (that open the browser also a download for the doc), the problem is that the doc is uploaded by Windstring on release canges and the attachement id is different .. so Basically I have to wait the doc for publishing the release and if doc change .. you understand the "linkage" story. Is there a way to get a unique attachement id ? Concerning the spice. Did you read the book or just see the movie or both? thx for increasing my pic quota and the advancement. If I run into the quota issue again, what's the best way to handle it? Also, is there a place that states pic quota, or a guage that I can view to govern myself? Lastly, if I deleted old pics, will that free up space in my quota? I'm asking because I see many readers adding long videos and that has to use up alot of quota, unless pics and vids are viewed differently. 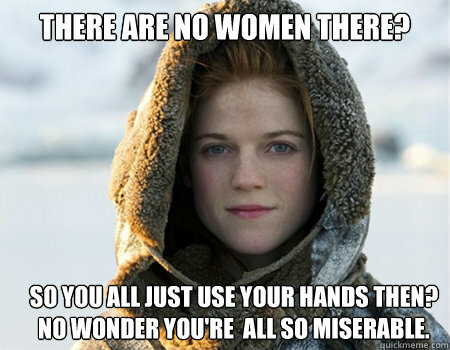 I've been chatting with the actress from game of thrones on facebook... the crazy one up north beyond the wall. Anyway you guys can change the color at the top of my forum screen. The lettering to say what level I was at is now blue and the lettering around it are ugly and hard to read. Can you change it back to the way it was with the original color combination? Any help would be appreciated. Yo man, can you please help me with the virtualtub? I want to mix a song into the video and leave the original audio alone....can this be done?